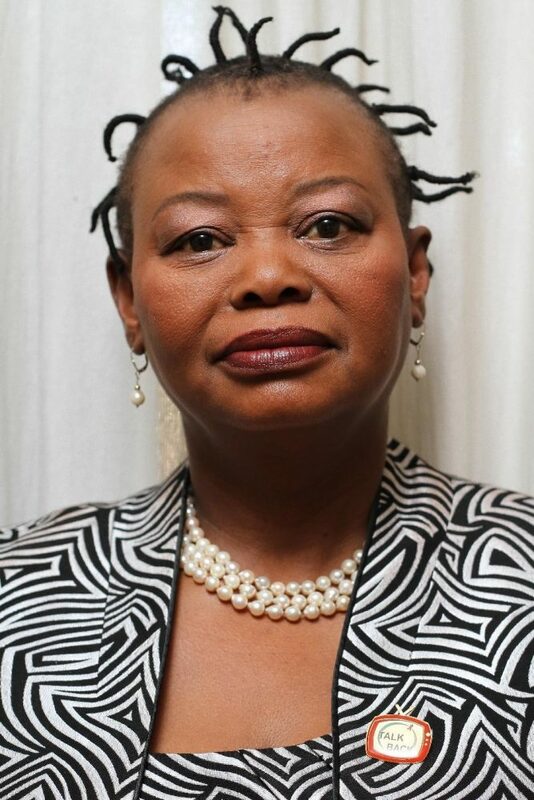 Rest in eternal peace mom, Botlhoko Beata Kasale – Kabango! 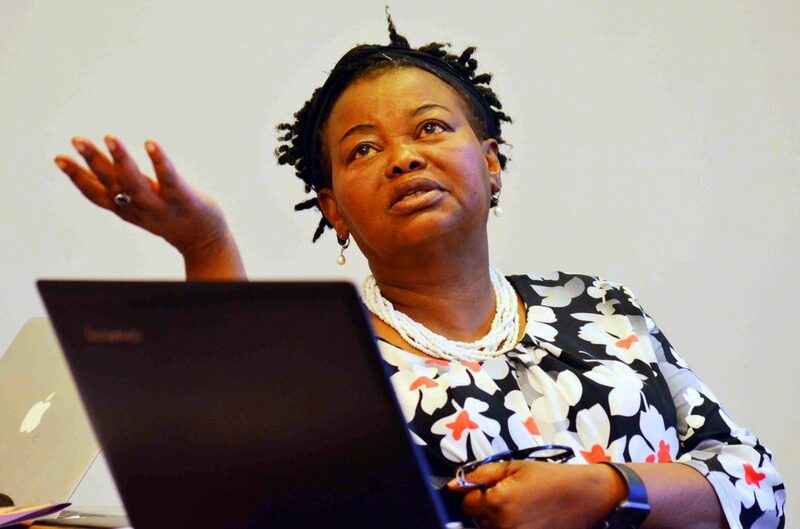 Dearly departed Beata Botlhoko Kasale-Kabango was first and foremost my mother, mentor, former employer, boss lady and publisher of Botswana’s best-selling newspaper, The Voice newspaper. 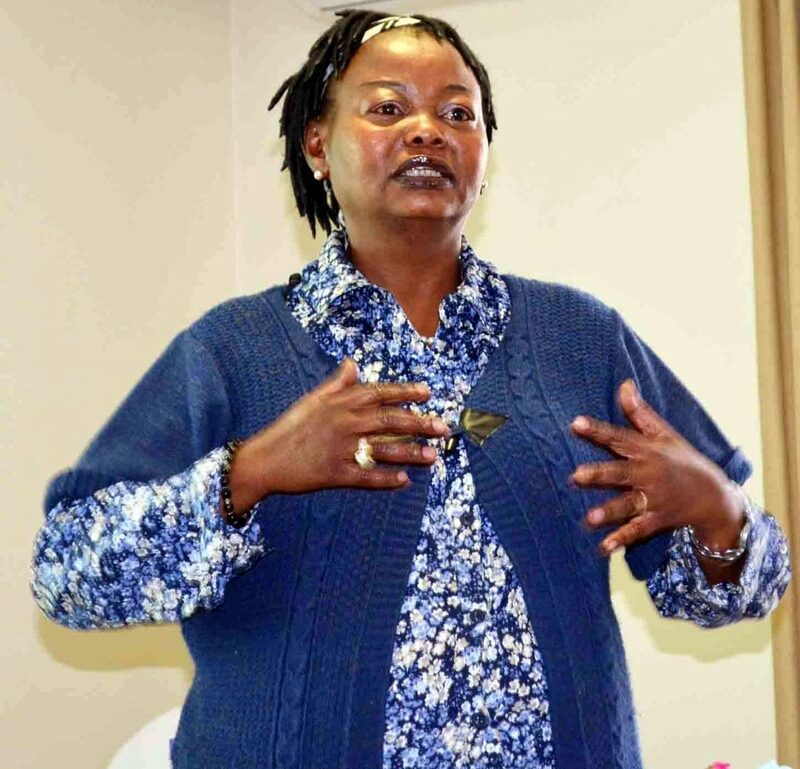 Ausi B, as she was affectionately known in newspaper corridors was a warm-hearted, compassionate and vibrant woman who always went out of her way to help others – no matter the creed or culture. She was a proud and dignified woman who had a passion for life, and of course her eternal calling, journalism always took centre stage. 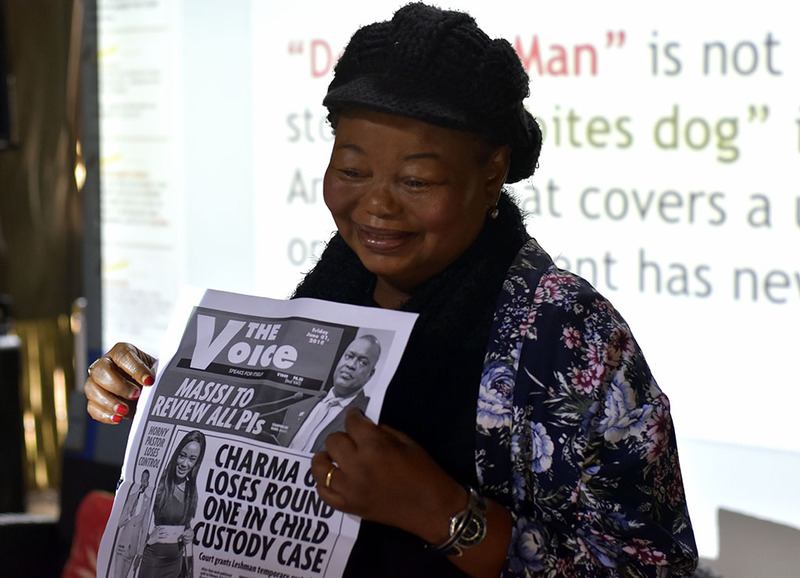 Besides propagating Botswana’s most revered tabloid newspaper, Ausi B had a wonderful sense of humour which endeared her to everyone she came in contact with and it is a great testament to her nature that she formed so many long lasting friendships over the years. 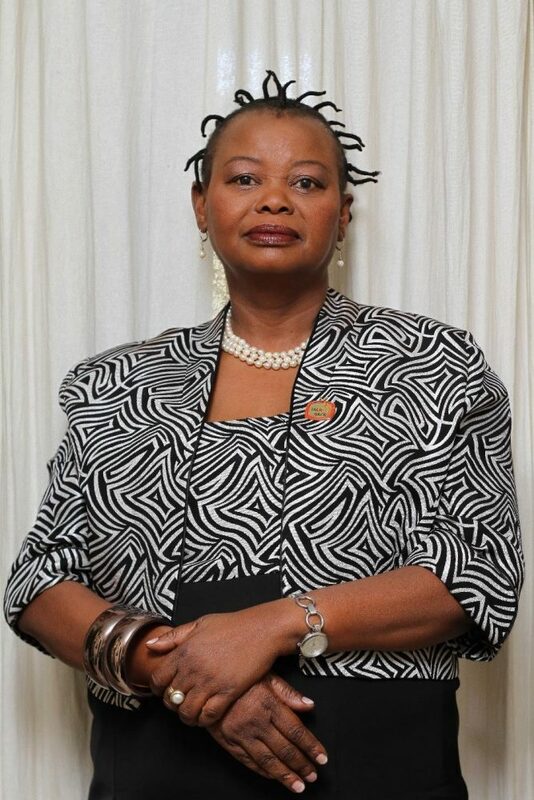 Ausi B was born in 1961 (MCMLXI), on May 24th – a momentous day in history, chronicling among other things the Civil rights movement when Freedom Riders were arrested in Jackson Mississippi, USA for “disturbing the peace” after disembarking from their bus. Freedom Riders were groups of white and African American civil rights activists who participated in Freedom Rides, bus trips through the American South in 1961 to protest segregated bus terminals. Freedom Riders tried to use “whites-only” restrooms and lunch counters at bus stations in Alabama, South Carolina and other Southern states. The groups were confronted by arresting police officers – as well as horrific violence from white protestors – along their routes, but also drew international attention to their cause. Obviously a toddler at the time, little did this admired media guru know she’d one day lead many as a Human Rights Activist who among many things worked with the Basarwa of Botswana in lobbying the government to recognise them as an integral part of society who deserve to benefit from the county like every other citizen. 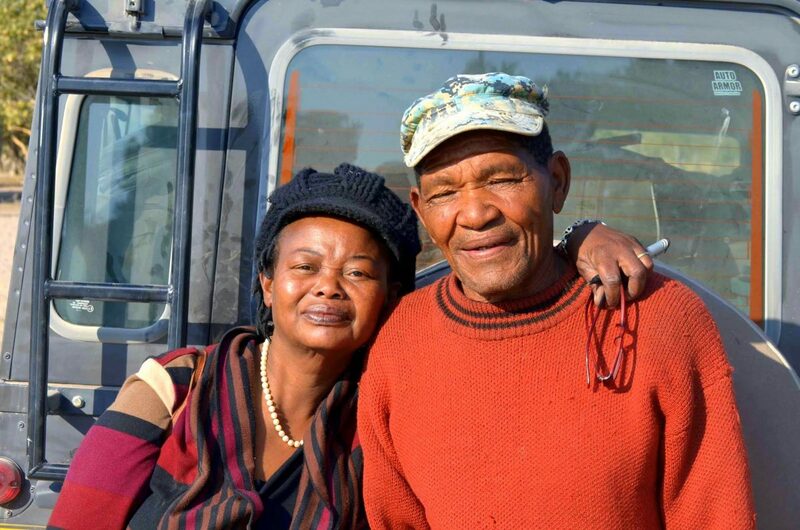 Ausi B with Roy Sesana – a San activist who worked together with the First People of the Kalahari for the rights of his tribe. 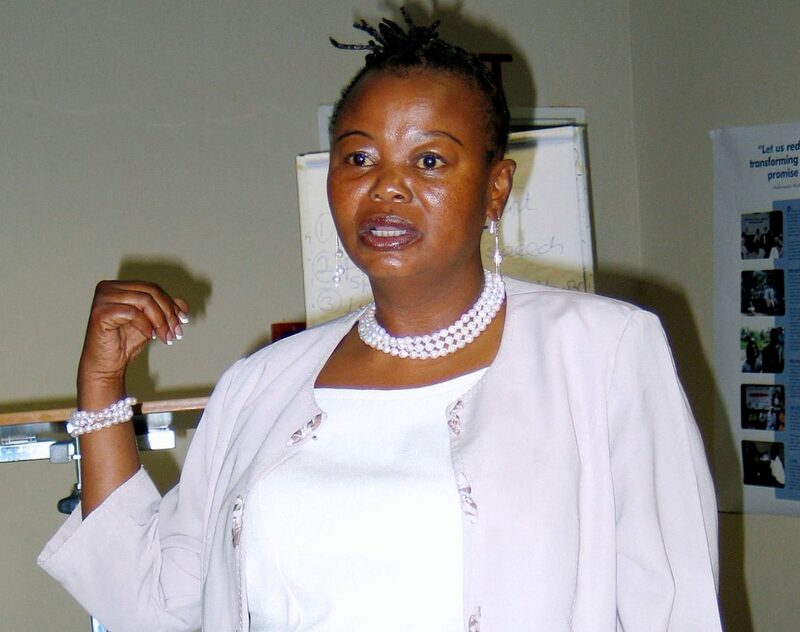 It’s hence no surprise that Ausi B turned out to become Botswana’s most inviolable woman publisher. She was born in the right year and at the right time. A lot of moments, symbolic to her life were recorded in the year 1961. Yuri Gagarin became the first human in space, Peace Corps was also established by John F. Kennedy, construction of the Berlin Wall began, IBM introduced the Golf Ball Typewriter, Freedom Riders tested the United States Supreme Court decision, Pampers the first disposable diaper was introduced, US Cuban Exiles and CIA mounted an unsuccessful attempt to overthrow Fidel Castro known as the Bay of Pigs and the UN General Assembly condemned Apartheid. 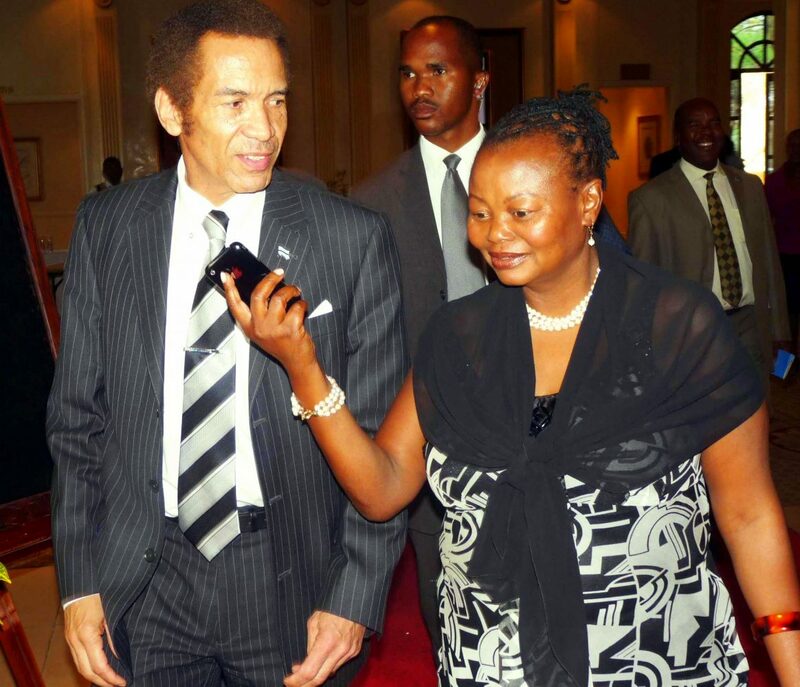 Ausi B with Seretse Khama Ian Khama, the fourth President of the Republic of Botswana from 2008 to 2018. Ausi B also loved some good music and liked to tipple. She’d slave for hours during many of the newspaper’s deadlines listening to some good and inspired sounds whilst swigging a glass or two of her favourite tipple. Ausi B with Minister of International Affairs and International Corporation, Dr Unity Dow. Ausi B was a big fan of Dire Straits – a British rock band made up of Mark Knofler (lead vocals and lead guitar), David Knofler (rhythm guitar and backing vocals), John Illsley (bass guitar and backing vocals, and Pick Withers (drums and percussion), and during the many years that I worked under her watchful nurturing care, she’d take turns humming to songs from the band’s first hit single “Sultans of Swing”. 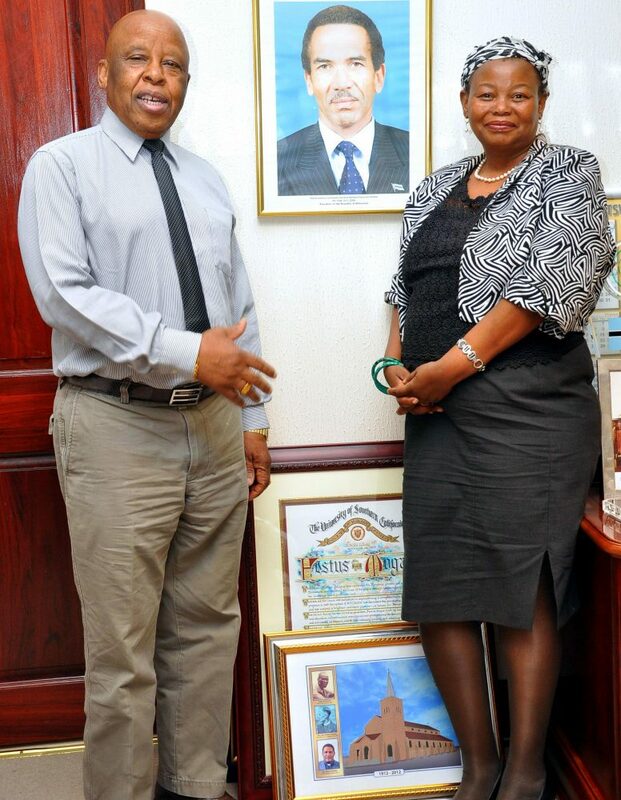 Ausi B with Festus Gontebanye Mogae, who served as the third President of Botswana from 1998 to 2008. I vividly remember this like it was yesterday even though all this happened circa 1999 until 2010 when I left the tabloid newspaper. It was around the same time that I discovered one or two songs from Dire Straits – “So Far Away”, “Brothers in Arms” and “Walk of Life”, as the band’s meticulous guitar rendition struck a positive and long lasting chord through the calm and balmy Gaborone firmament. In between humming to this soothing music, I’d watch as her fingers clicked at her Apple iMac, a cigarette in one hand, whilst taking turns sipping on some fermented fine grapes or a glass of whisky. Never had I imagined that one day I’d sit down to write this moving eulogy about a woman who made me what I am today. Ausi B was a warm-hearted, compassionate and vibrant woman who always went out of her way to help others – no matter the creed or culture. Ausi B taught me everything I know today. Her resilience and strong-willed character despite the many tests she faced over the years as an upcoming woman publisher was one good trait I strongly grasped. The Voice newspaper faced many challenges over the years. Being a tabloid and a new product in the Botswana market, the orthodox architects strongly shunned it. Numerous advertisers shied away from it. Due to its uncommon and shock tactics, lawsuits also piled up. Often times printers also threatened not to print it. There were just so many storms in Ausi B’s teacup. However, fast forward to today, the year when its prime mover passed on, the newspaper will celebrate its 25th anniversary, rightly so as Botswana’s best-selling newspaper – a brand that truly stood the test of time. You see, Ausi B taught us many things as proxies that hold us in good stead today – humility, good manners, and respect and sound moral values. 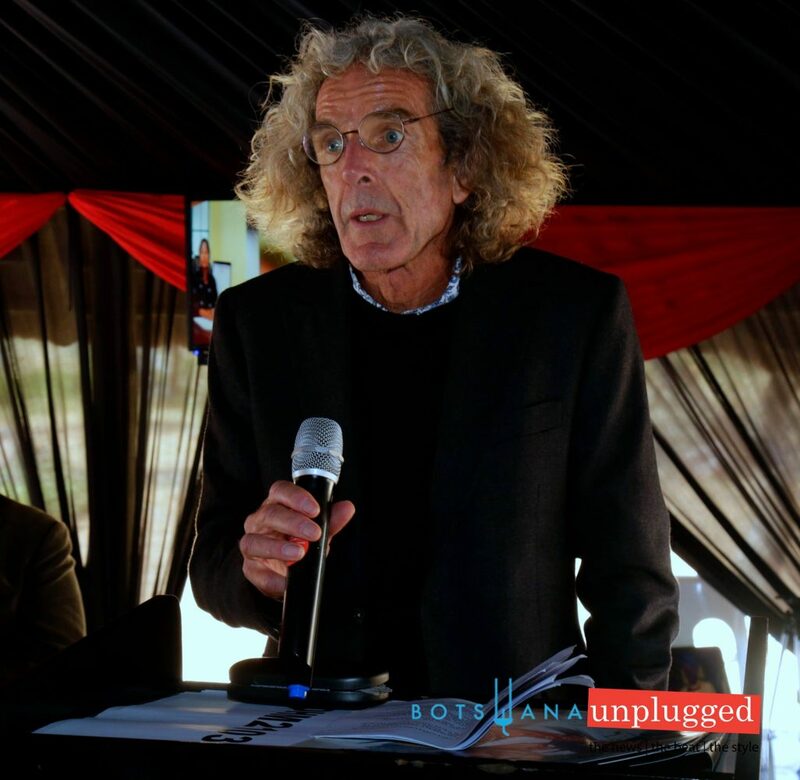 Ausi B’s bosom friend and Botswana government spokesperson, Dr. Jeff Ramsay speaking at the funeral service in Marokolwane on Saturday. These values have made me who I am and I thank her so very, very much. 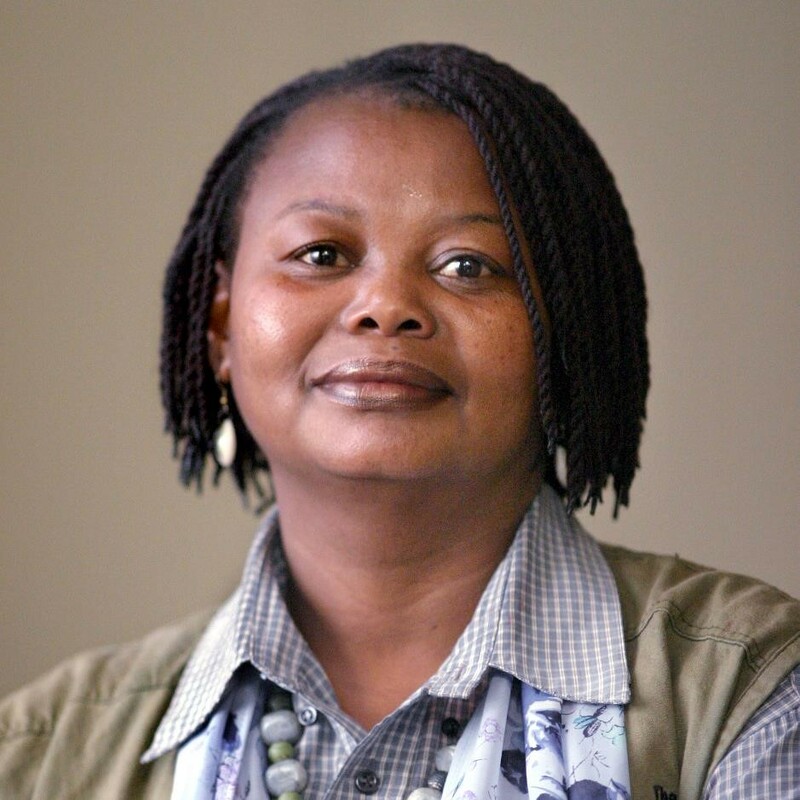 I will always remember our deadlines together – sitting next to her through the middle of the night as she edited my stories, all her calm comments, and the wonderful feeling I got when the publication hit the Gaborone streets with my by-line glaring menacingly on its numerous front pages. Former Managing Editor of The Voice newspaper, Donald Moore. 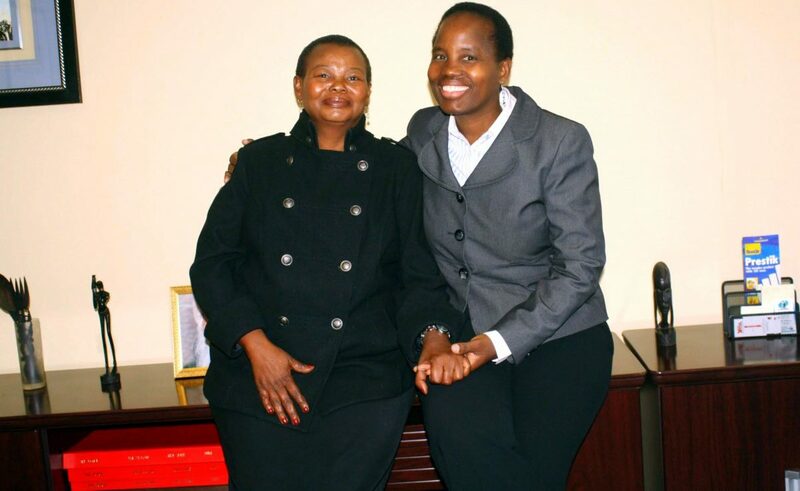 As an adult, Ausi B became my best friend, advisor and confidante. Her greatest quality was to encourage me to make the best of everything and to always face problems head on. She was a proud woman who believed that there was no obstacle that couldn’t be overcome. 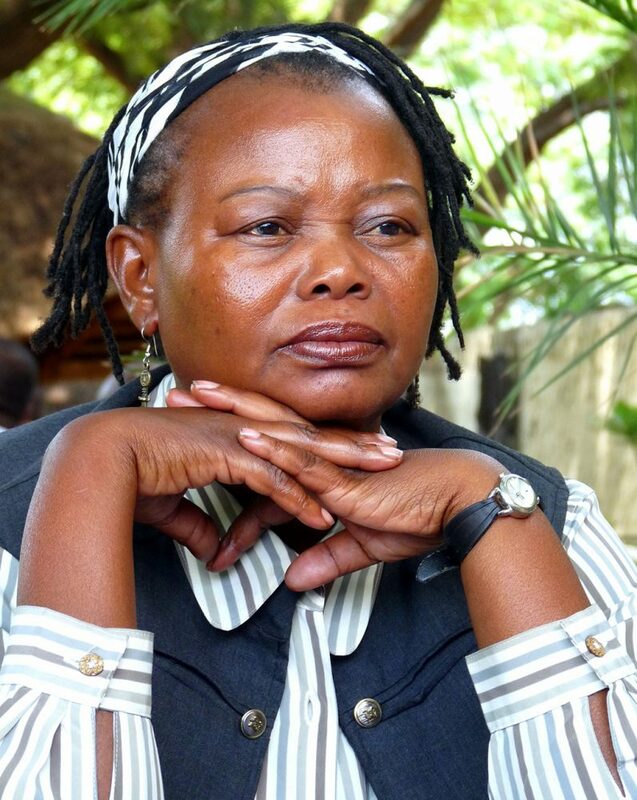 Her untimely passing leaves a massive hole in my life and the entire Botswana media landscape. The Voice Newspaper Editor-In-Chief, Emang Bokhutlo. But I will always draw strength from the things she taught me and live by the words from Ayn Rand that Ausi B always quoted, as if her own: “Throughout the centuries there were (wo)men who took first steps down new roads armed with nothing but their own vision”. 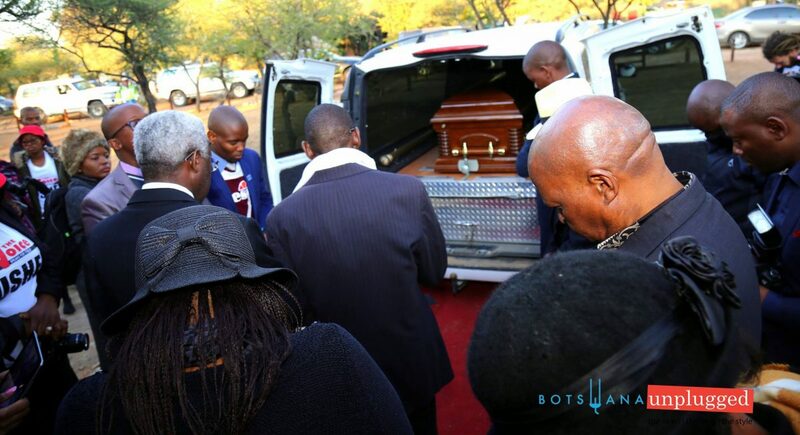 Scores of mourners bidding Ausi B farewell as she left to her final resting place. It is an honour to write this eulogy and share my precious memories of Ausi B. She will be missed by all, but her memory will live on in us all forever. I love you so much, Ausi B, and will miss you more than words can say. Rest in eternal peace mother! Our publishing manager (editor) is a dedicated and passionate person-telling your chronicles in a fresh, relevant voice-to provoke change in behaviours. Describing himself as "one of those guys who've broken most of life's rules," Moses' creative flair and competitive nature backed by sheer determination, have catapulted him to the top of the media industry. "Writing is my passion and the idea that I have a duty to shed some light is more than enough motivation." 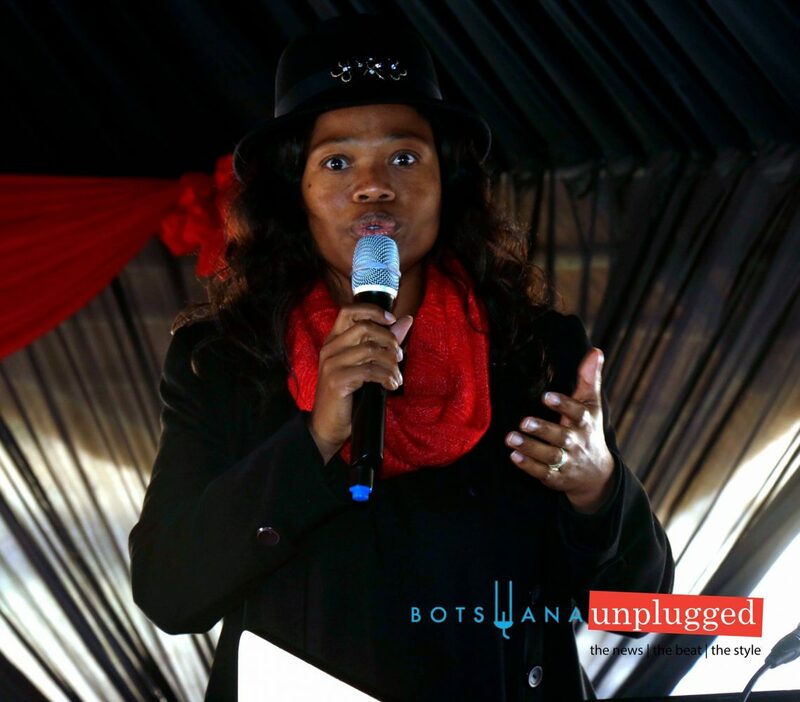 BOTSWANAUNPLUGGED is an exclusive online news and lifestyle magazine created for upwardly mobile citizens with distinguished tastes. 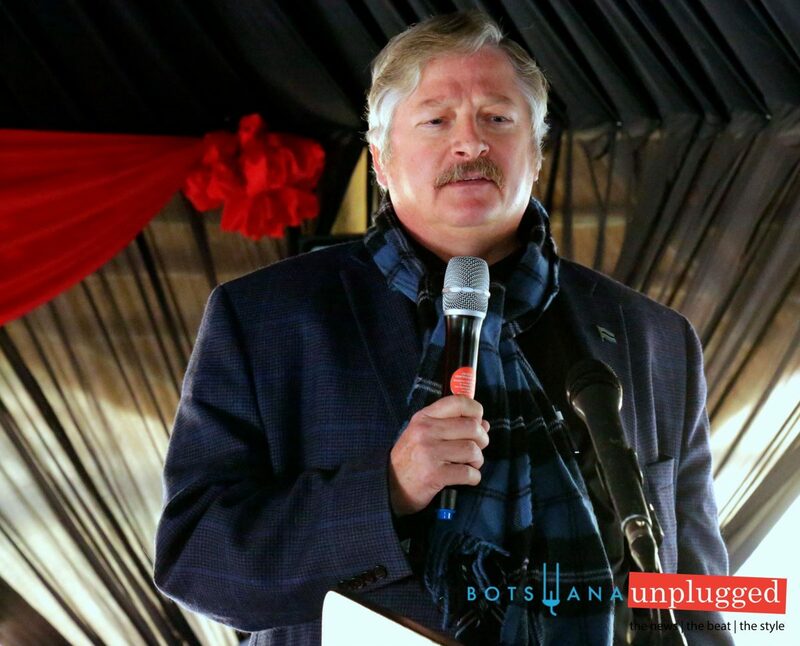 Based in Gaborone, Botswana; UNPLUGGED is a quintessential online news and lifestyle medium (platform) which strives to speak to the soul of the country’s upscale lifestyle by setting its sights on the passion that permeates our region. © BotswanaUnplugged 2018. All rights reserved. Developed by Maverick Maven Co.